Hong Kong, December 16, 2008 -- LyondellBasell Industries has announced the start-up of its new polypropylene (PP) compounding facility in Nansha, China, with a nominal capacity of 15,000 tonnes per year. 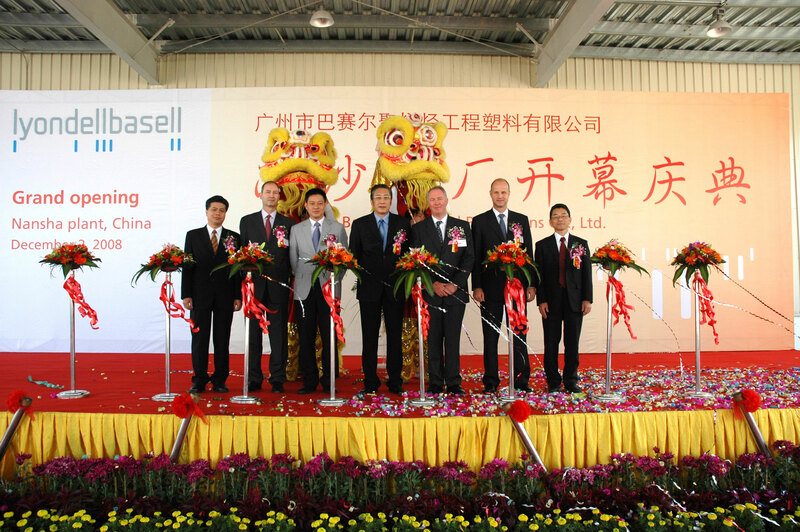 The new facility is operated by Guangzhou Basell Advanced Polyolefins Co., and supplies polypropylene composites and alloy materials to the automotive and appliance industries. LyondellBasell operates 15 PP compounding plants in 12 countries on four continents, which produce 1.2 million tons per year. The company’s 16th PP compounding plant will be on-stream in Saudi Arabia next year, and plants in India and Russia are planned for the near future. Please click on the “+” sign that appears in front of “Media relations” and select “5 - Five”. Then download the photo in the preferred resolution.